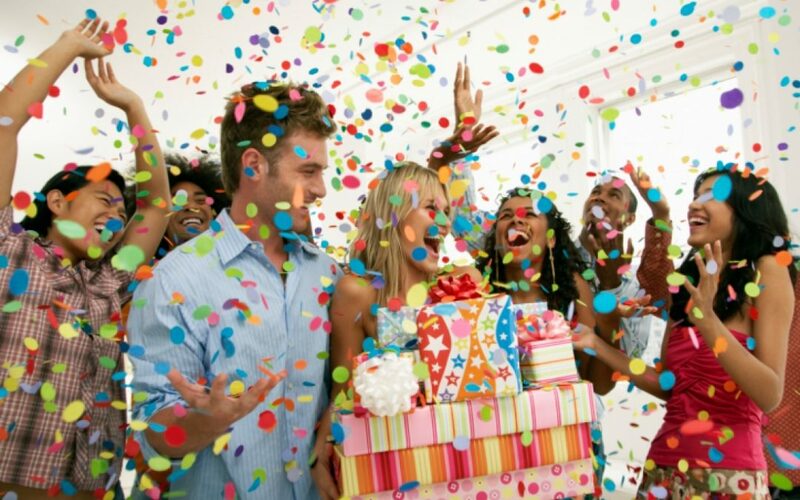 When throwing a party, the first thing you have to ask yourself is how much are you willing to shell out? Do you have the funds for a Pinterest-worthy birthday party? If we’re going to follow all the birthday party ideas from Pinterest and Instagram, we’re going to have to spend a serious amount of money on decorations alone. So the best thing to do before you begin preparing for the party is to ask yourself whether you can afford to go all out or if you prefer to have a simple one at home. Remember that once you started planning the party, it’s hard to stop yourself from wanting it to look better or from inviting more people. But if you know what mind of budget you are working with, you will likely make the best decisions accordingly. 1. Do you want a big party? How many guests are you planning to invite? How many of your friends are willing to spend time with you? It matters how big or small your party is going to be because of the venue, the food, and even the whole program. You can opt to serve a homecooked dinner at home and have a small party with your closest friends and family. On the other hand, if you have the money for it, you can opt to throw a big bash where you can invite even your acquaintances and your workmates. But with a big party, remember that you will have to rent a big venue, too, because your house may not exactly be able to accommodate everyone. 2. Should you do it in your home? If you have a big house that can accommodate your planned number of guests then, by all means, do it. However, if you plan to throw a big birthday bash but your house would not be able to accommodate everyone, you should look for a venue that you can rent and where everyone will be comfortable. Also, it is beneficial to hold a party somewhere else. You can rent a nice restaurant so you don’t have to worry about cleaning the place or washing the dishes. 3. Can you DIY the decorations? Hiring an event stylist will bring your event to life. Whatever theme you are thinking of right now, an event stylist can bring that idea into fruition. But like everything else with organizing a party, hiring an event stylist will cost a lot. If you are not ready to shell out money for this, you have to ask friends who can make decorations. There are a lot of places such as Party City and Michaels that sell decorations. Simply go to these stores and purchase the decor you need. 4. Will you provide all the drinks and decorations? Are you going to spend on all the food, drinks, and decorations? Or is the party a potluck where guests will have to bring their own share of food and drinks? No matter what you decide on, make sure that the dishes and the drinks all match and that you consider the allergies and preferences of your guests. 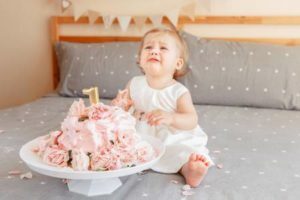 Your little one’s first birthday party is fast approaching and you are at the planning stage for the best first birthday party ever. Although you may want to follow every Pinterest post for an elaborate birthday party, you may want to take it easy on yourself and just keep your party simple, unique, and close-knit. Most of all, you might want to make sure that your little one will enjoy his or her first birthday. Your child will unlikely remember it, but make sure to take as many photos as you can. You have to choose between an elaborate and grand first birthday party or a simple one with close family and friends. You may want to keep it small for a first birthday because remember, your baby won’t remember it. This is particularly important if your child isn’t accustomed to big and noisy crowds. The baby may end up being cranky all night. A first birthday party will have to happen during the day or the afternoon. It definitely cannot be an evening event since your baby is tired and sleepy by that time. You, of all people, should know your baby’s naptime schedule. Work around it and plan the party after the child’s nap. That way, your kid won’t cranky and will have enough energy to entertain your guests. In addition, remember that the party should only last about two to three hours. Anything more than that will be too tiring for your baby and your little one will not enjoy it. You may want to throw the party before your child’s 12-month doctor’s visit for the one-year inoculations. Most babies are extra cranky and out of sorts for a few days after receiving their vaccinations. Wait for a week after the kid turns one year old before throwing the party. This will make sure that your baby is in the best mood. It’s easy to prepare food for the adults. You know what they want. They can have pasta, roasted chicken, mashed potatoes, and veggies. You’ll be all good. Kids are different. Every child has a different preference than the next kid, so you have to think what all of them will like. Think pizza, chicken, ice cream, and spaghetti. Maybe you’ll be safe with those. You may also want to include snacks that kids particularly like such as those fruit-and-veggie squeeze pouches. You may need to babyproof your house or make sure that the event place will have a facility for changing diapers too. Once the decorations are all set and before the chaos begins, take lots of photos of your baby. When the guests start arriving, you will be busy hosting and mingling with the adults. Furthermore, your baby might be overwhelmed by all the commotion, and the kid may end up being cranky when the pictures are about to get taken. Surely, you don’t want your child’s first birthday photos to be taken while he or she is crying or throwing a tantrum.